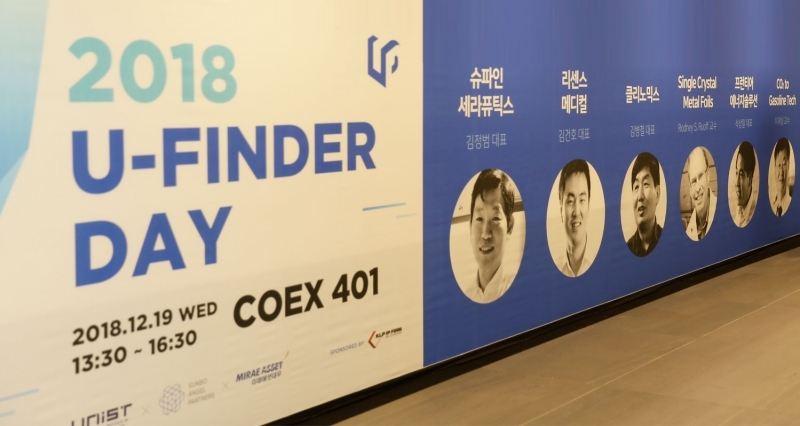 The 2018 U-Finder Day was held at the Coex Convention and Exhibition Center on December 19, 2018. 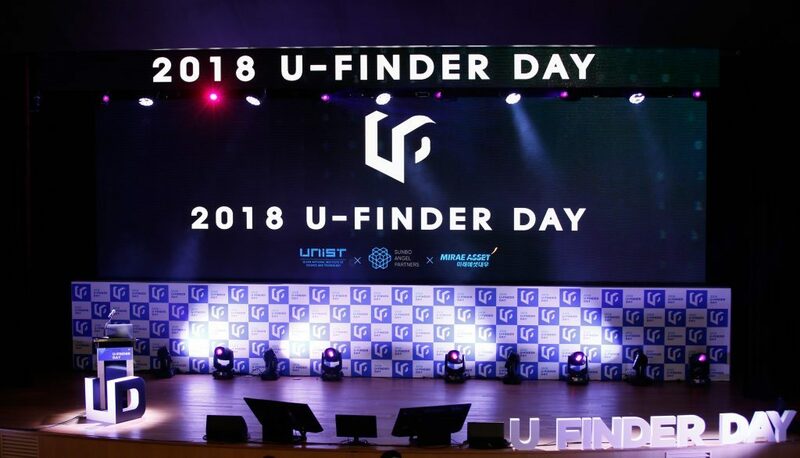 Scientific discoveries and technological advances that represent UNIST got their foot in the door to demonstrate their value to potential investors at the 2018 U-Finder Day, held on December 19, 2018. 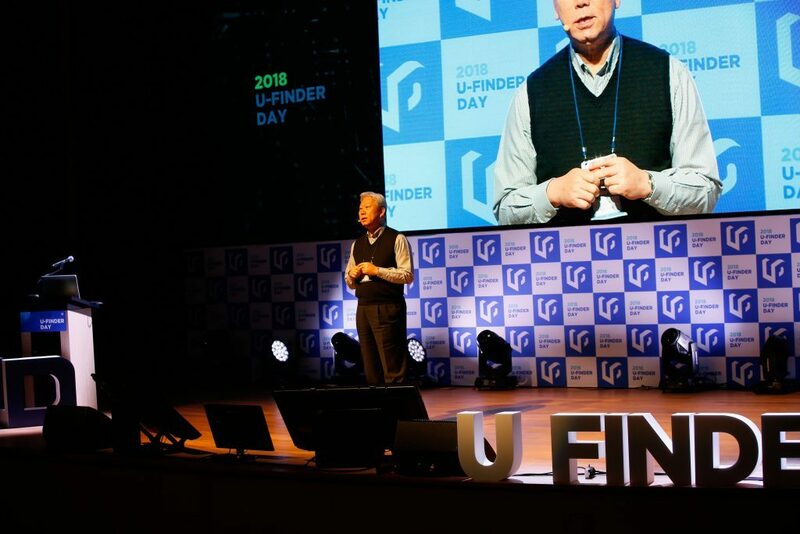 Took place in COEX Convention and Exhibition Center of Seoul, the event was held in Demo Day-style, introducing innovative UNIST-based faculty startups, as well as their breakthrough technologies. This was followed by a networking component to attract follow-up investments. 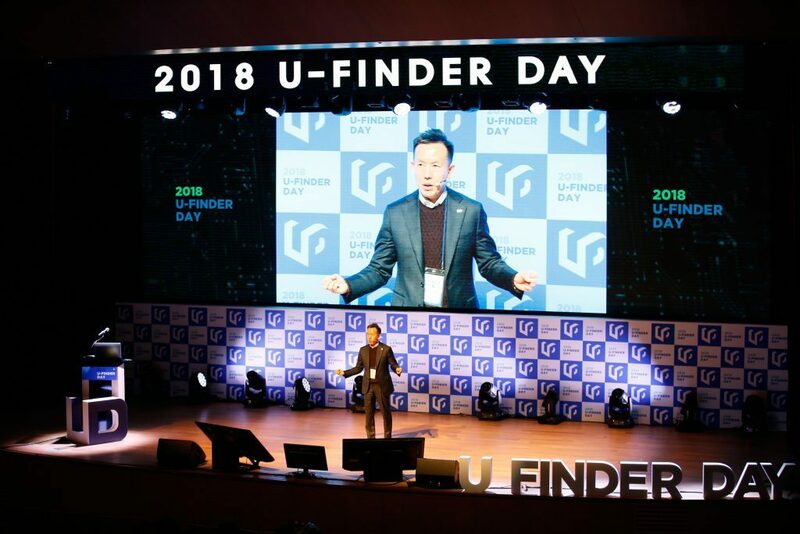 The 2018 U-Finder Day was held in COEX on December 19, 2018. A total of 7 faculty startups of UNIST and 3 holders of emerging technologies participated in the event to showcase their breakthrough ideas under the following themes: △ Bio Innovation △ Materials & Energy △ Sensor & Industry. 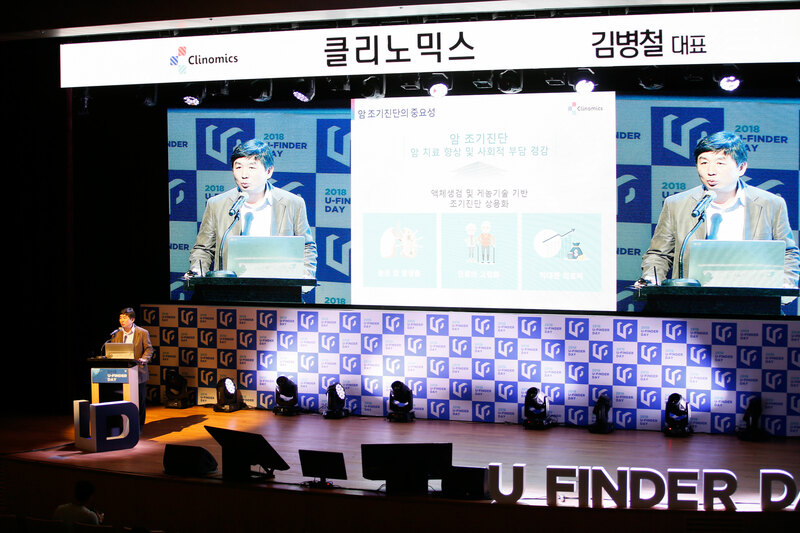 In the first session of the U-Finder Day, SuPine Therapeutics Inc. (CEO Jeong Beom Kim), RecensMedical Inc. (CEO Gun-Ho Kim) and Clinomics (CEO Byung Chul Kim) introduced their businesses and related technologies under the topic of ‘Enhancing Health and Wellness through Bio’. 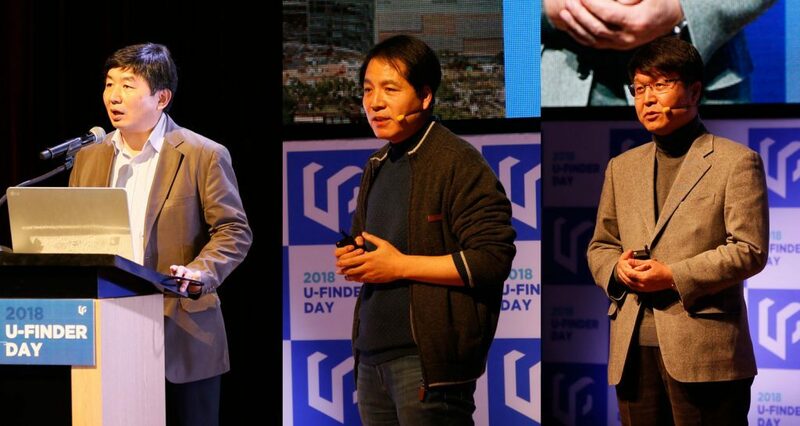 From left are President Byung Chul Kim (Clinomics Inc.), Professor Sang Il Seok (Frontier Energy Solutions Inc.), and Professor Myunghee Lee (Sapien Semiconductors Inc.). 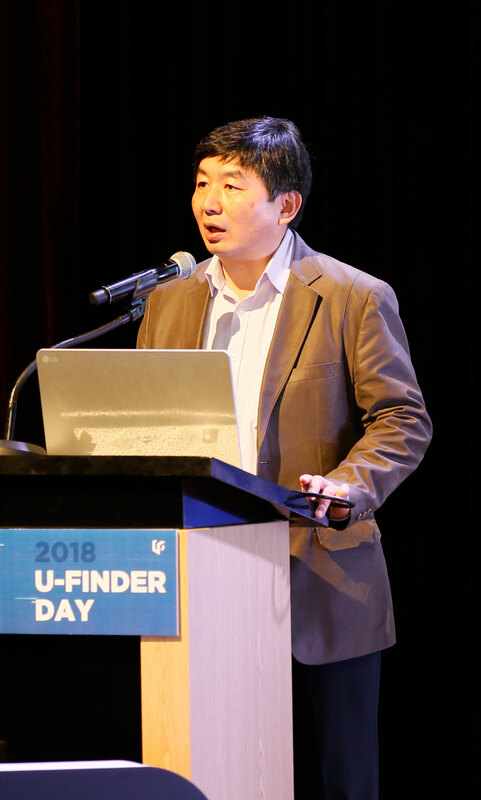 Professor Jeong Beom Kim (School of Life Sciences, UNIST) made a big splash at the 2018 U-Finder Day for its revolutionary patch technology for treating patients with spinal cord injuries. Professor Gun-Ho Kim (School of Life Sciences, UNIST) has also received much attention for proposing its refrigeration anesthesia for the treatment of retinal diseases. Professor Jong Bhak, has established himself as the right man to lead the global genomics industry by presenting a new genome-sequencing approach in the early diagnosis of diseases. In the Materials & Energy session, Distinguished Professor Rodney S. Ruoff offered a beginning. Under the topic of “New energy paradigm shift through innovative materials”, Professor Ruoff introduced a simple, cost-effective technique for the production of large area single-crystal metal foils. Professor Joonbum Bae (Feel the Same) is presenting its soft glove-based business model. 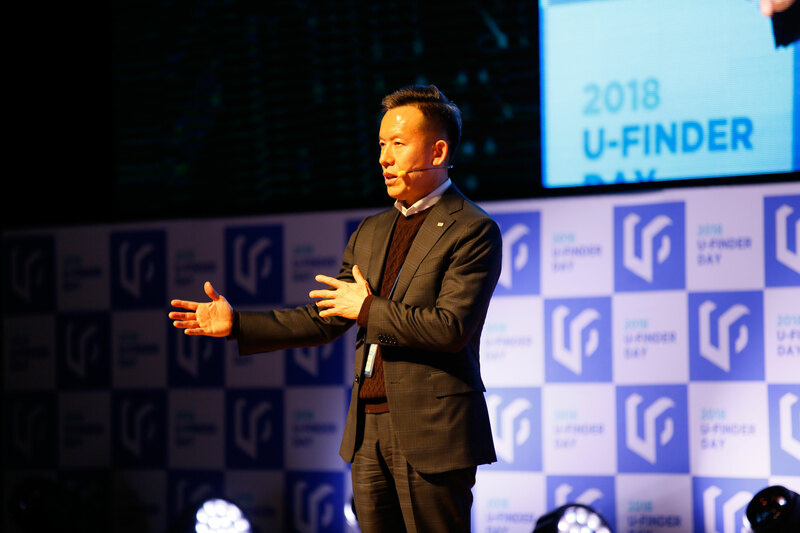 This was followed by the introduction of Frontier Energy Solutions (CEO Sang Il Seok) that relies heavily on its perovskite solar cells, as well as the seawater battery-based startup ‘4 to One (CEO Youngsik Kim)’. 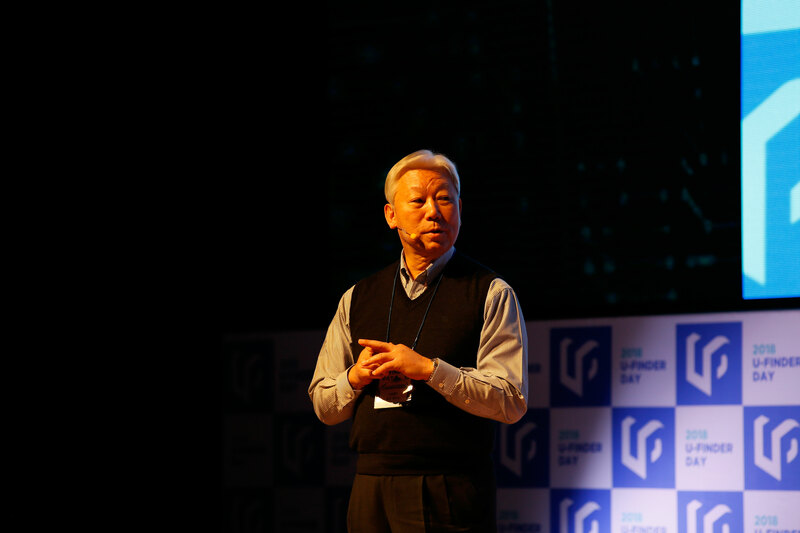 Professor Jae Sung Lee (School of Energy and Chemical Engineering, UNIST) also received much attention for presenting a revolutionary photocatalyst that converts carbon dioxide into usable fuel using just sunlight. Later in the conference, the sensor and industry session was held under the topic of “Overcoming the limits of existing industry through open innovation”. 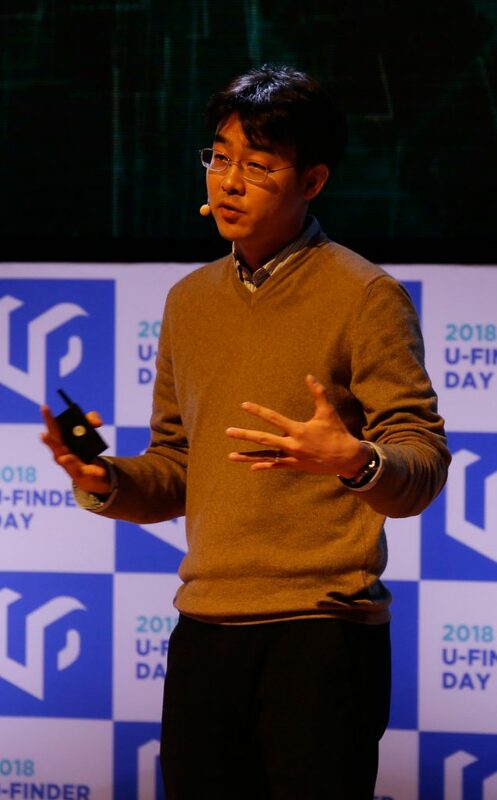 Here, Feel the Same (CEO Joonbum Bae), which produces a soft glove that recognizes the user’s movements and Sapien Semiconductor (CEO Myunghee Lee), which develops display solutions, were introduced as representative UNIST-based startups that will lead the Fourth Industrial Revolution. 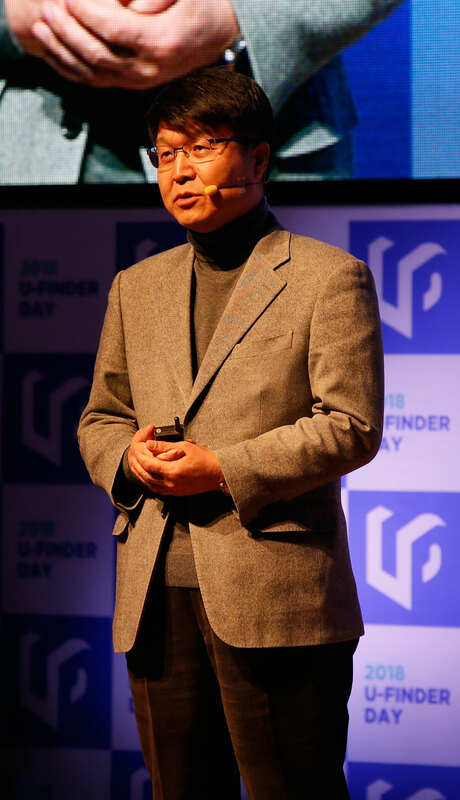 In addition, Professor Youngshin Kwak (School of Design and Human Engineering, UNIST) also attracted attention by presenting ‘Color and Sensibility Engineering Technology’. 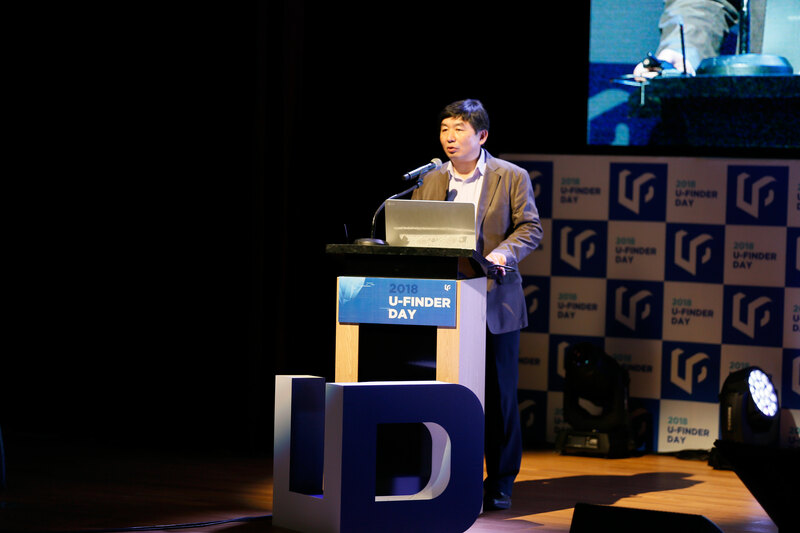 President Mooyoung Jung is delivering welcoming remarks at the 2018 U-Finder Day, held in COEX, Seoul on December 19, 2018. The event has been jointly organized by UNIST, Mirae Asset Daewoo and Sunbo Angel Partners, sponsored by KLP IP Consulting. 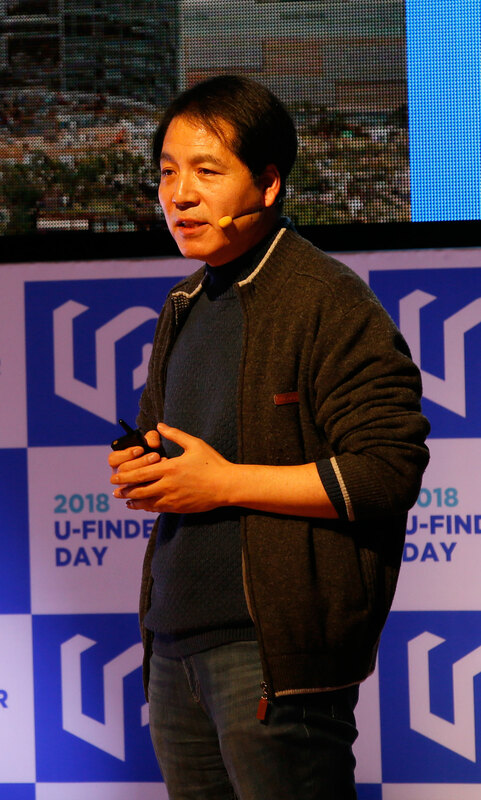 About 400 people attended the event, including the Technology Guarantee Fund, Credit Guarantee Fund, Korea Venture Investment, Mirae Asset Venture Investment, Future Science Technology Holding, Busan Regional Union Technology Holdings, Hancom Investment, Unist Technology Holdings and External Venture Capital We reviewed the possibility of a subsequent investment. The event has been attended by Vice President Hyun-man Choi of Mirae Asset Daewoo, Co-CEO Jong-Hoon Oh and Mr. Young-Chan Choi of Sunbo Angel Partners, Executive Vice President Rack-kyu Kang of Korea Technology Finance Corporation (KIBO), Managing Director Sang-hun Lee of Hancom Inc.
Hyun-Man Choi, Executive vice Chairman and Co-Chief Executive Officer of Mirae Asset Daewoo Co., Ltd. is delivering a welcoming address at the 2018 U-Finder Day.